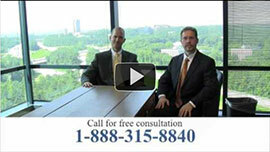 Thank you for your interest in our Macon Injury law firm. We have devoted our law practice to help people that have been injured through the negligence of others. We work on personal injury claims in Macon Georgia and surrounding areas. Our law firm has experience in handing serious car wrecks, tractor trailer accidents, premises liability claims, and boating/Jet Ski accidents at Lake Tobesofkee in Macon Georgia. In addition to serving the Macon metropolitan area we proudly serve all other counties in Georgia. A Macon injury lawyer can help you place your claim in one of these categories. They can also ensure that you get full compensation for your claim which will help you pay for all the expenses that go along with an accident. Some expenses include medical bills, lost of wages, and payments for property damage. Link & Smith, P.C. offer a free consultation which is a face-to-face meeting to discuss your accident and gather any evidence that you may have. We can help you take the steps and make the right decisions in your case. Once we are provided with all the evidence we will then build a solid case. Make sure to do all these steps and in the order that they appear. You have the potential to cause problems if you do not. One problem is if you do not contact your injury lawyer before you make an insurance claim you might not earn all the compensation that you are entitled to. Insurance companies are known to settle a claim for as little compensation as possible. Link & Smith, P.C. can help ensure that you receive the full amount compensation you are entitled to. If you fail to take pictures or videos of any of the damages it is likely that you will not receive all the highest amount possible for compensation or worse you could lose your case.